With our field rep, Dave Moore. Late late summer, we received a HUGE surprise! We were informed that we were selected as our dairy co-op’s (Dairy Farmers of America) Mideast Area Member of Distinction! We were thrilled of course, but honestly had no idea what that meant! Ha! It truly has been a great honor and a fun experience starting with a photo shoot they came to our farm and did last October. 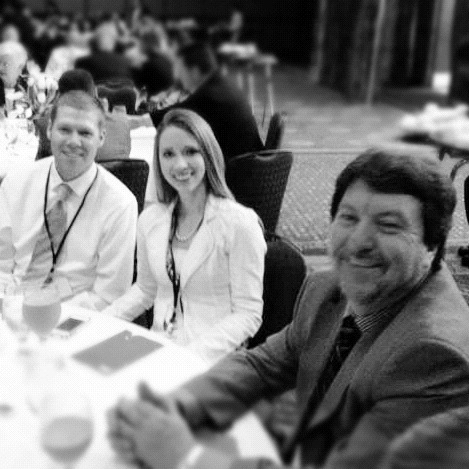 This past Monday – Wednesday DFA flew us to Kansas City, MO where we attended their 2012 Annual Meeting. Tuesday night my husband and I were honored to be able to accept the Member of Distinction award on behalf of Alpine Hills Dairy Farm and the Colson family. After waiting 5 months since the farm photo shoot they did for us, Tuesday night we were finally able to see some photos and a wonderful video they put together about the farm! It was very special. I so enjoyed listening to the 6 other Member of Distinction stories as well and learning about the outstanding things that they are doing on their farms. 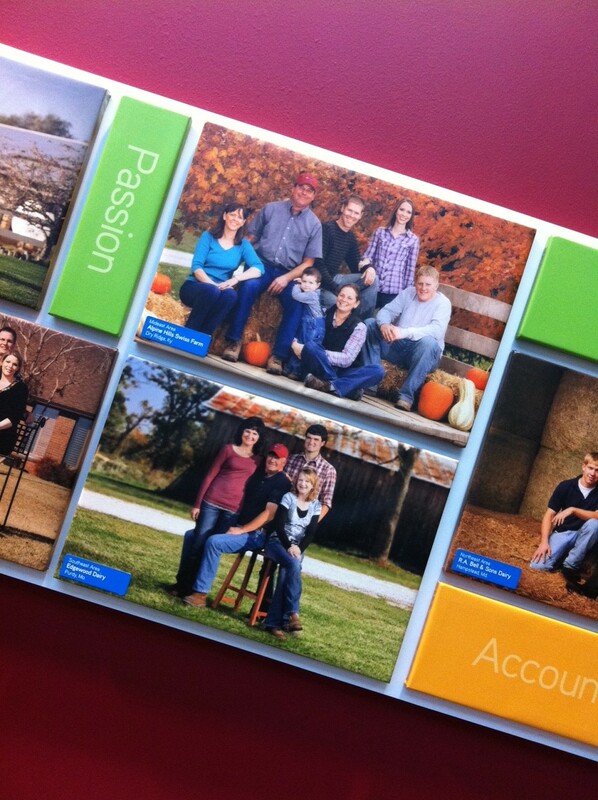 Click here to view more photos of our farm and family from the DFA Member of Distinction photo shoot! I should have access to the video DFA put together about our farm in the next couple weeks. We were so thankful to be able to attend the DFA Annual Meeting for the first time……for me the people were really the best part. We had a number of wonderful people come introduce themselves to us and share their knowledge. We are truly thankful. Our family photo as part of a display at the DFA Meeting. 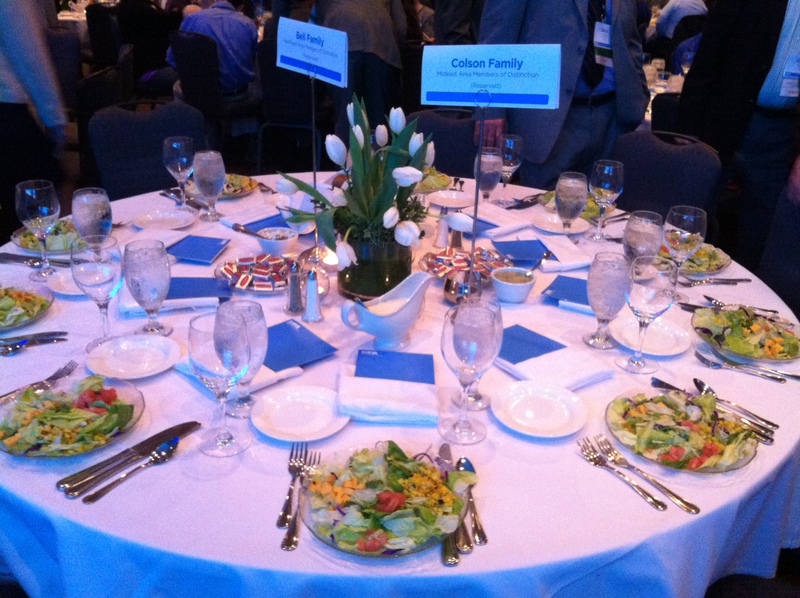 Our reserved table at the banquet. 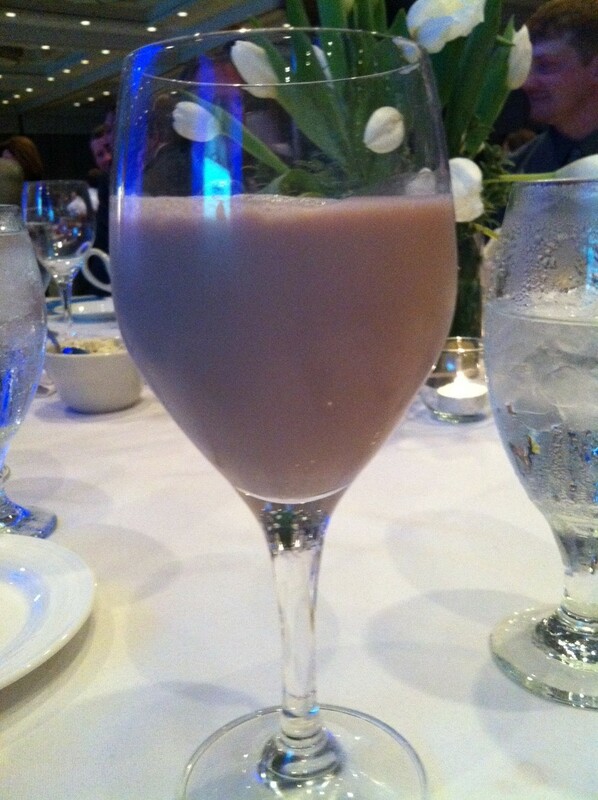 We drank a ridiculous amount of chocolate milk while at the meeting! 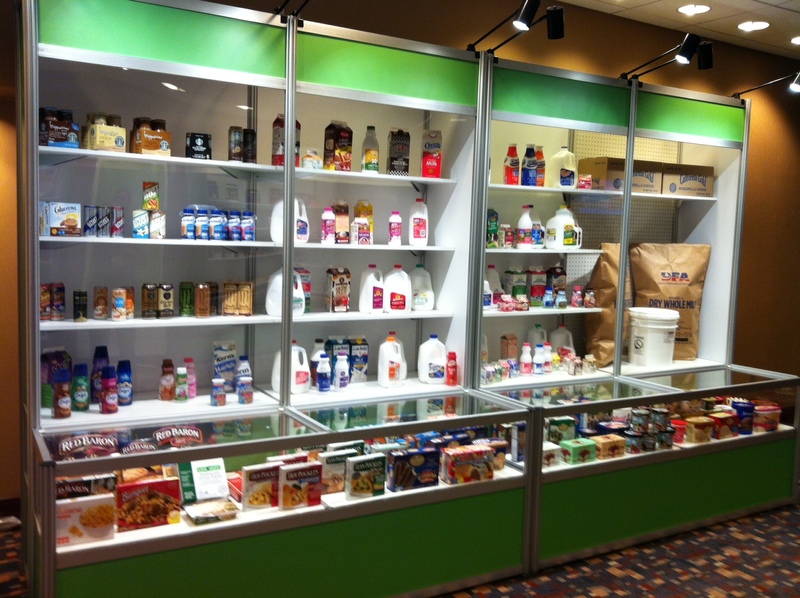 Just a portion of the products that milk from our DFa co-op goes into! 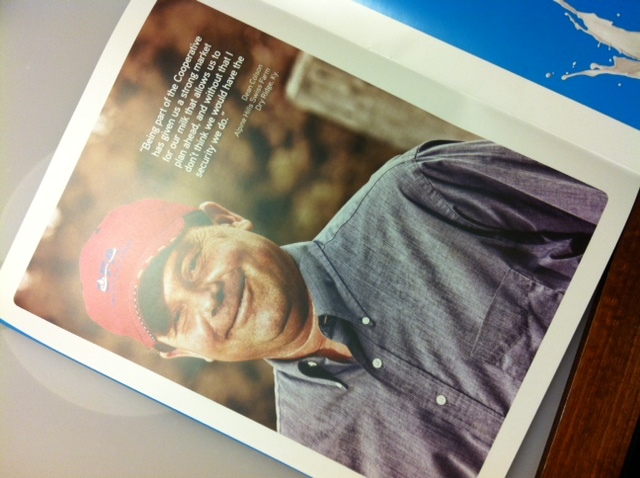 Dean (my father-in-law’s) photo in one of the programs at the DFA meeting. The Farmer and His Wife…..Take a Cruise! Last month, my hubby surprised me by telling me he wanted to take me on a vacation, preferably a cruise – in, get this, TWO WEEKS! Wow, was I ever shocked! Of course that’s the way it goes with us working on a dairy farm. If we can get away (which we are blessed to be able to do occasionally since we share the workload with Matt’s parents) it’s usually on rather short notice. We had never taken a cruise before so I jumped online right away to learn as much as I possibly could about cruises……so much to figure out! In a few days, we were able to find the cruise / flight combo we were looking for and book our 3 night cruise to the Bahamas leaving out of Miami, FL. Ahhhhh, we were sooooo excited! Much to my surprise I had no anxiety about being on the ship, even though the stories of the wrecked Costa Concordia filled the news. The flight to Miami was the most stressful part – I have flown probably 10 times in my life, but I’m just not a fan, UGH. Hard to believe that it’s already over and we’ve been back 3 weeks now. Overall it was a very good first cruise experience and we are so blessed and thankful for the opportunity to go on this trip!